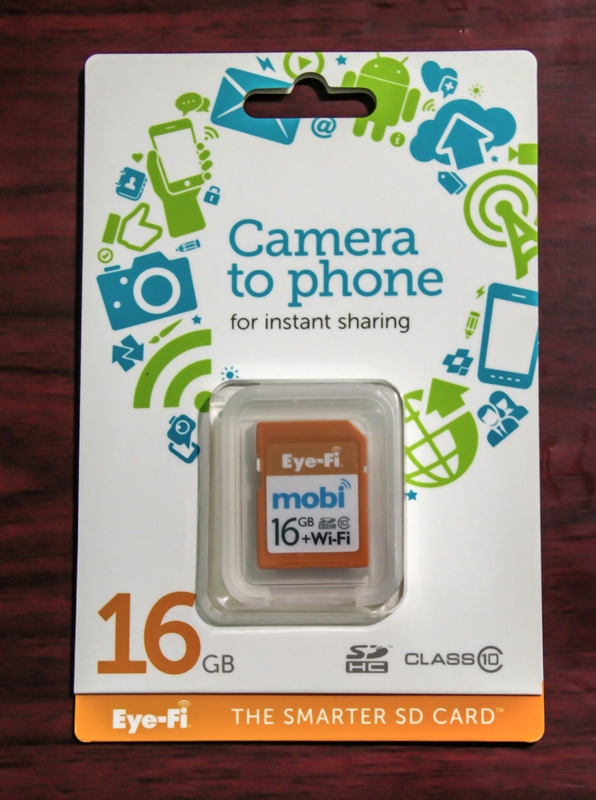 I just got my 16GB Eye-Fi card for my SLR which is advertised to have an embedded WiFi chip inside the card enabling you to connect your WiFi enabled mobile devices to your SLR to retrieve the photos “wirelessly”. 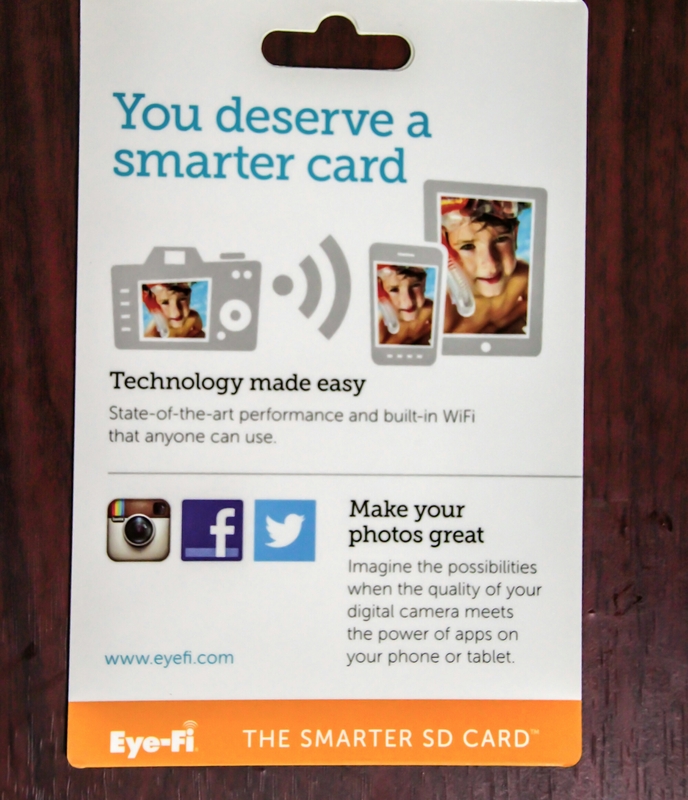 The package itself boasts of the abilities of the Eye-Fi card labeling it as a “smarter card” making it easy for a photographer to retrieve his photos without taking out the SD card from his camera. Convenience and immediate sharing of photos are the key benefits which a user of this Eye-Fi card will get… Cables and wires or taking out the SD card from your gear will be a thing of the past, so to speak! 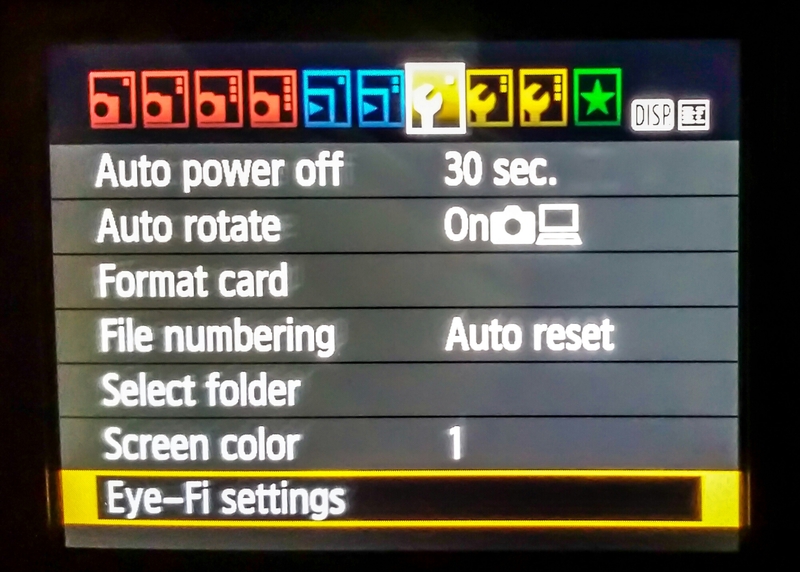 As soon as I inserted the Eye-Fi card in my camera, a new item in the SD card menu appeared… The “Eye-Fi settings”. 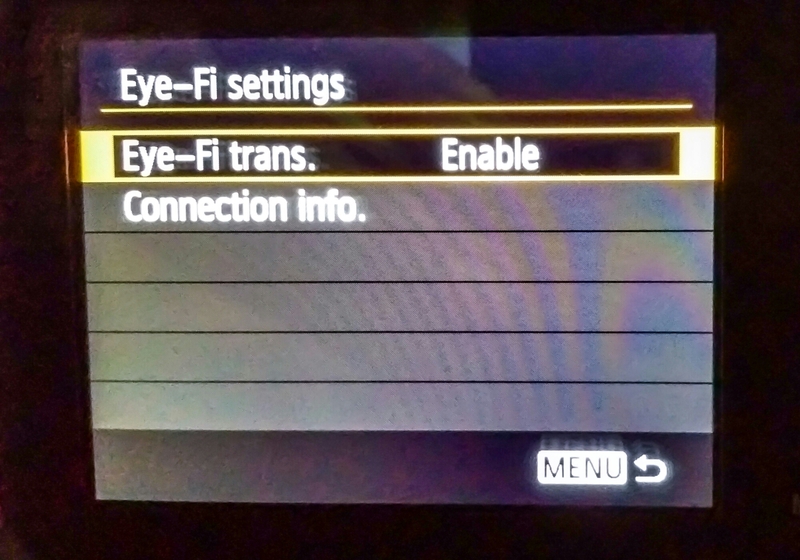 Setting up the Eye-Fi for use is very simple… You just “Enable” the Eye-Fi transfer. 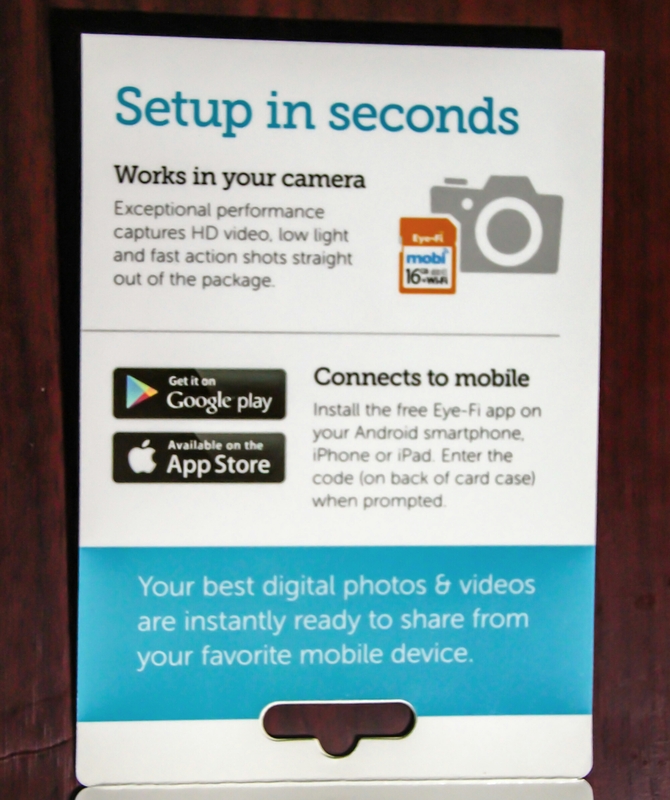 That’s it and the SD card is now ready to wirelessly transfer photos to your mobile devices or laptops. 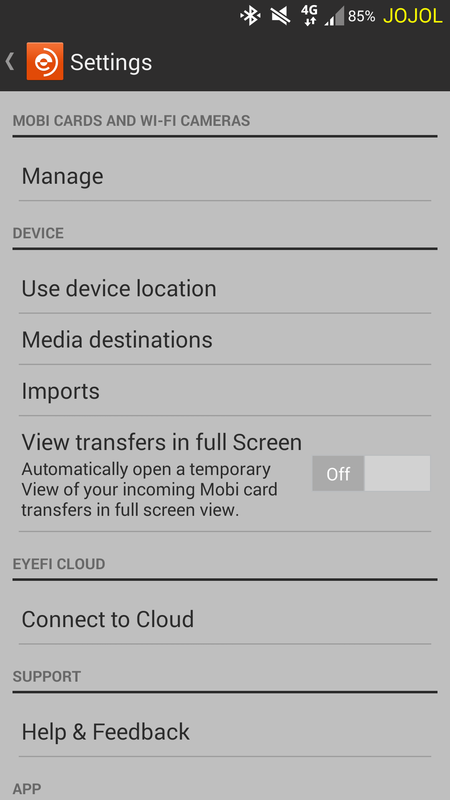 One further step before you can start downloading the photos from your camera wirelessly is to install the Eye-Fi Mobi app in your mobile device. This app has both the Android and iOS version depending on the platform of your device. On laptops, it is downward compatible with Windows XP. 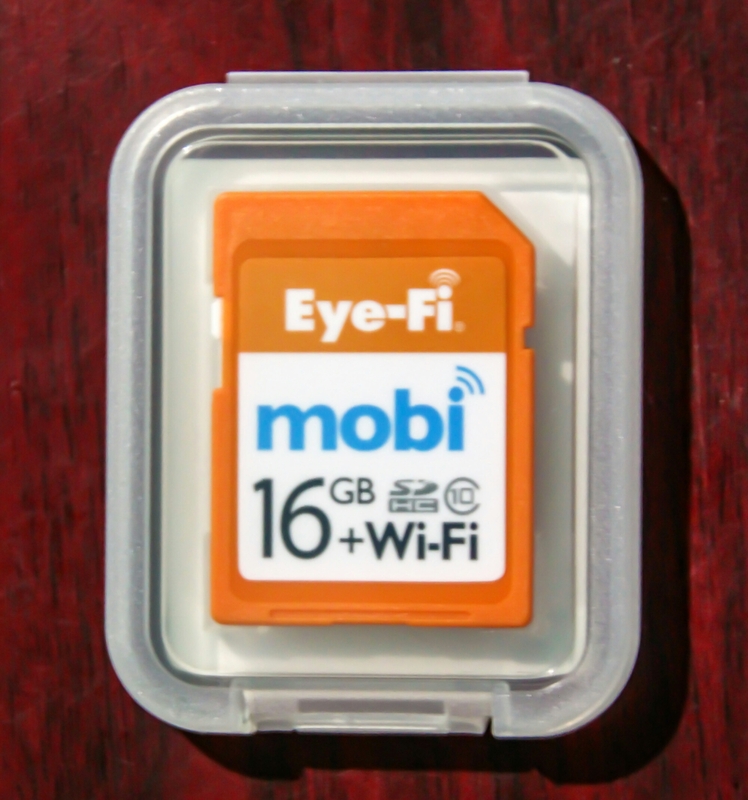 To connect your mobile device to the Eye-Fi, the app will ask for a 10-digit passcode… The passcode is found at the back of the case of the Eye-Fi SD card. And of course, you have to turn on your WiFi in your mobile device… Duh! 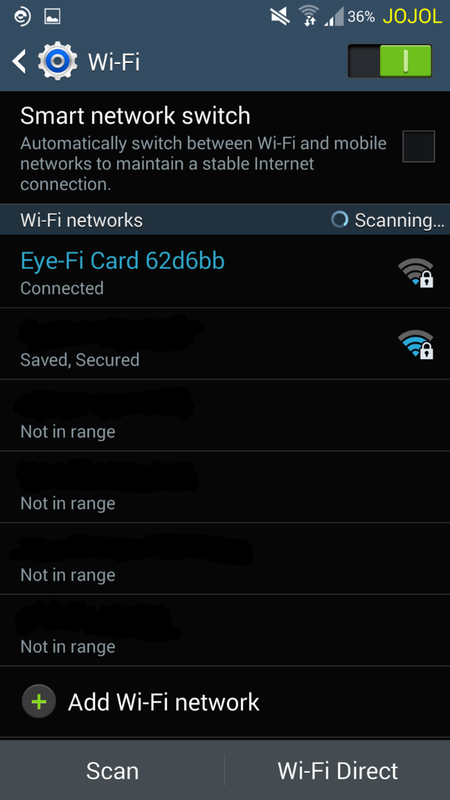 If you’ve done everything right, your mobile device WiFi list will now include the Eye-Fi WiFi network. That’s how easy it is to setup the Eye-Fi…! Now what about my experience with it? Running the app in the background, I started taking photos and as expected, when I looked into my my mobile device, my photos “magically” appeared in my Android Gallery under directory titled “Mobi”. The photos are saved in the Eye-Fi SD card and at the same time, these photos are wirelessly transferred to my mobile device every time I take a shot. I tried disabling the WiFi in my mobile device and took several shots. When I reactivated my WiFi, all the shots I took were automatically transferred by the Eye-Fi to my mobile device. It’s like magic…!!! 1. It’s easy to set up and in just a few minutes, I can already use the Eye-Fi SD card. 2. I don’t need to take out my SD card anymore or connect a cable to my camera to transfer the photos to my laptop or to my mobile device. It’s like having a camera with a wireless feature. 3. I can immediately edit and share my photos on the fly just using my mobile device. 1. If you took a lot of shots and you will transfer the photos in batch mode (you’re taking shots with your mobile device disconnected from Eye-Fi), make sure your camera’s battery is more than half full, otherwise, it will die without transferring all your photos. But don’t worry, it will start from where you left off. 2. The Eye-Fi version I have does not allow “selective transfer” of photos. But the Eye-Fi Pro version allows it. Just a warning, the use of the Eye-Fi SD card is addictive and habit-forming as you will start to hate the cables and taking out the SD card from your camera in your perspective will be seen as a “barbaric and uncivilized” way to transfer your photos…! Why “butcher” your SLR if you can transfer photos without even touching your gear? I Really Don’t Get It… LOL! Great review!! This would work dandy in my old Canon SX30. I was just at an electronics section in a store, did not see one but was not there for that either. I suppose it may not work due to the older model camera.